Smart use of technology to drive a positive impact while creating an enhanced digital experience has been central to MTN South Africa’s plans at the creative industry’s annual Design Indaba conference and Expo currently underway at the Cape Town International Convention Centre (CTICC) until Sunday, 2 March 2014. 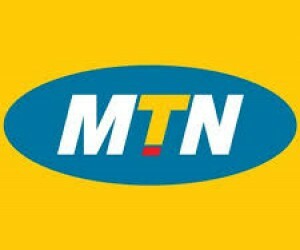 Making their third appearance at the creative industry event, MTN is demonstrating that it is a technology innovator driving change for good. “We are very excited to be back at Design Indaba for a third successive year amongst other progressive and creative brands and individuals. This year we are showcasing the creative use of technology to drive solutions to combat the effects of climate change”, says Brian Gouldie, Chief Marketing Officer at MTN SA. The issue of sustainability is one that is of global proportions with local relevance. One of the factors that affects sustainability is climate change. A one-size-fits-all solution will not be the answer - as such, Africa needs to find solutions to the manifestation of this problem on the continent. The issue of climate change is a particularly pertinent issue for MTN, as its customers live in emerging countries that are resource-rich but globally are most vulnerable to the effect of climate change. MTN will accurately calculate the carbon emitted by delegates’ digital devices and activities while at the Design Indaba. The leading telecommunications provider will then assist in offsetting these carbon emissions by planting seeds and growing oxygen emitting plants and trees in identified areas. Every time attendees share on Twitter using #designindaba or @designindaba, MTN is calculating the carbon emitted as a result of these tweets. Using smart technology, MTN will tally this and notify delegates about the package of seeds that they can pick up from the stand to assist with offsetting these emissions. “As MTN we are saying that in the new world, technology continually renews the world”, concludes Gouldie.